specialises in an all-year-round garden maintenance service in the Bournemouth, Ferndown and Christchurch area, with a reliable, friendly and professional service. 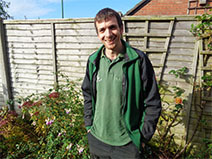 The Garden Doctor specialises in an all-year-round garden maintenance and professional gardening services. So if you need a friendly, reliable gardener to help with your lawn, flower arrangements or general upkeep in the Bournemouth, Ferndown and Christchurch area (covering BH8, BH9, BH10, BH22 & BH23), we will provide you with a reliable, friendly and professional service. Whether it’s a weekly, fortnightly, monthly garden service or one-off tidy ups, The Garden Doctor can accommodate your garden’s every need. With a set appointment diary, this ensures that you know when I am coming and helps to plan a work schedule to suit your garden & budget. Whatever the symptoms, you had better call on The Garden Doctor. Are you lacking the time, skills or necessary equipment to look after your garden? Perhaps it is about time to give your overgrown yard some much-needed TLC? If you answered yes, a gardener is just what the doctor ordered. It is never too late to transform a dull, overgrown garden into something you can be proud of. Vibrant, colourful and full of life. When you need a gardener in Bournemouth, Christchurch or Ferndown then contact me on 07810 646 123. You can also send me a message via the enquiry form on the contact page.